Where does the inspiration for Daughters Of The Sun lie? 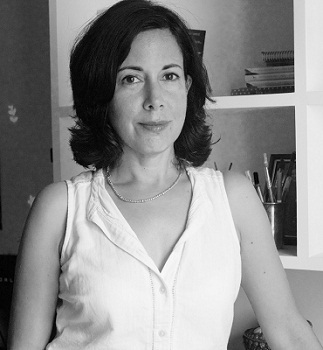 What do you hope to convey to readers? From the time of my first book, I have been astonished by how much of the history of women remains hidden, untold and biased. I wanted to better understand the undercurrents and prejudices that allowed this to happen and to bring back into the narrative the stories of these extraordinarily-talented women. I hope readers will feel they have been able to see beyond the high walls of the zenana into the vibrant, raucous place that women inhabited. Do you think the Mughal women were feminists of their day? Mughal women, because they brought with them their Timurid, semi-nomadic traditions wherein senior women were respected and influential, certainly stand out for being remarkably ambitious and enterprising women. If you compare them either with their contemporary Muslim empire, the Safavids, or a Hindustani culture like the Rajputs, the women there had a much more humble role. Mughal women in comparison were relentlessly independent, well travelled and audacious, and in this, we can indeed claim that they were among the feminists of their day. What was your greatest challenge while writing this book? My greatest challenge was not being able to access documents that had never been translated from their original Persian. I spent many months trying to get certain documents translated and finally had to put them aside and make do with what I had. Sometimes what I had was sparse, just the wording of a farman, or the elaborate title of a Padshah Begum. But put together, along with under-utilised resources like Gulbadan’s biography of Humayun and Jahanara’s writings, I feel I was able to create a substantial sense of what the zenana was like. 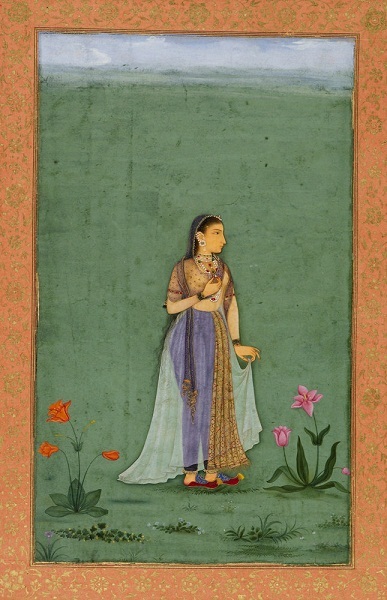 Which of the lesser-known Mughal ladies who you discovered through your research is your favourite and why? Before I began research on Daughters of the Sun, I didn’t even know about the existence of Khanzada Begum, Babur’s elder sister. Babur’s daughter Gulbadan writes about her extensively in her biography, so I was delighted to discover a woman who was fiercely independent, courageous, feisty, and highly respected by all the Mughals. Gulbadan’s writing helped create a sense of a real ‘flesh and blood’ woman, and Khanzada, though one of the earliest of the Mughal women, felt authentic and believable. The scene in which she cries at the sight of the infant Akbar because he reminds her of her beloved younger brother Babur who was no more was so moving and poignant. This tells us so much, not only about Khanzada Begum but also about the redoubtable warrior Babur, that he was someone’s cherished and much-missed younger brother. What was the most fascinating thing you uncovered during the making of the book? The most fascinating insight I discovered was the extent to which Akbar’s Rajput queens, especially Harkha Bai, mother of Jahangir, must have influenced the great Mughal Padshah. We know how Akbar gradually adopted Hindu habits and rituals such as fire-worship, recitation of the names of the sun and vegetarianism – this is often attributed solely to influences like the Parsi priests and Jain monks. But I believe his wives, who were allowed to bring all their rituals and religious practices into the zenana with them, may have been a contributing factor too. Women have been fighting to be seen and heard for years but a lot of the women of the early and later Mughal court were strong ladies whose voices and opinions were – more often than not – both heard and respected by the emperors. What would you say was the reason for this? In the central-Asian Timurid tradition, women – especially older ones – were highly respected, and their opinions were always sought on important matters. They were often the binding force between warring brothers and fathers. So when the Timurids came to Hindustan and founded the Mughal Empire, they were careful to cultivate traditions such as excellence in art and architecture and respecting the important role of the Timurid matriarch. Thus, deference to respected older women became the norm right through the reign of the Mughals. Would you say the Mughal Empire would have shaped differently without the influence of the women – if they were relegated to the background as they are in history books today? I believe if the women were as invisible and powerless as the history books claim, the Mughal Empire may have fractured right at the beginning itself. An important role of the women was to keep the Timurid-Mughal legacy in mind and to keep succession politics as non-violent as possible. Right from the time of Babur, his grandmother, mother and elder sister were instrumental in helping him stake his claim to the empire. Humayun’s mother, stepmothers and aunts worked tirelessly to prevent bloodbaths between his fractious brothers and him, and to keep their claim to empire in Hindustan alive. In an era when many are calling the Mughals ‘plunderers’ and ‘fanatics’, why do you think it’s important for us to know of these individuals? I really believe that if we are able to see history as being shaped by actual human beings, with their vulnerabilities and their frailties as well as their ambition and talent, then we can empathise so much more easily. When we read the stories of these Mughal women, we can instinctively understand that they did not come to plunder but to found an empire as worthy successors of the kings of Samarkand, who had been thrown out of their native places by the rising Uzbeks. Hindustan was their future, a fabled land in which they believed they could found a glorious empire. They lived and died here, shaped its culture, adopted its practices and altered history. The women shared in this dream firmly and evoked this Timurid legacy through all their projects; architectural, artistic and political. If history is presented as a faceless, amorphous entity then it is easy to provoke loathing and fear. If we are encouraged to view all Muslim rulers as Nadir Shah or Muhamad Bin Tughlaq, then we are doomed. But when that construct cracks and the living men and women step through, then we see them in all their wonder and humanity. If you had to give readers one reason to pick up the book, what would it be? This is a book of history disguised as a page-turner; I promise readers will ask themselves ‘what happens next?’ at the end of each chapter, but actually, they are learning solid historical facts! What can we next expect from you? My next book is a biography of Akbar. So after two books and many years, I will be putting aside the history of women to write about a man, but such a mysterious and seductive Padshah. Again, with Mughal history being under siege at the moment, it will be an interesting challenge to present his story in all its multi-textured glory. 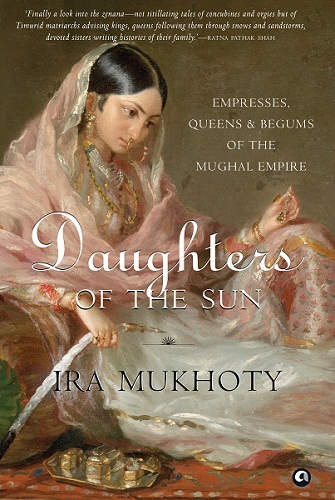 Daughters Of The Sun — Empresses, Queens and Begums of the Mughal Empire by Ira Mukhoty is published by Aleph Book Company.